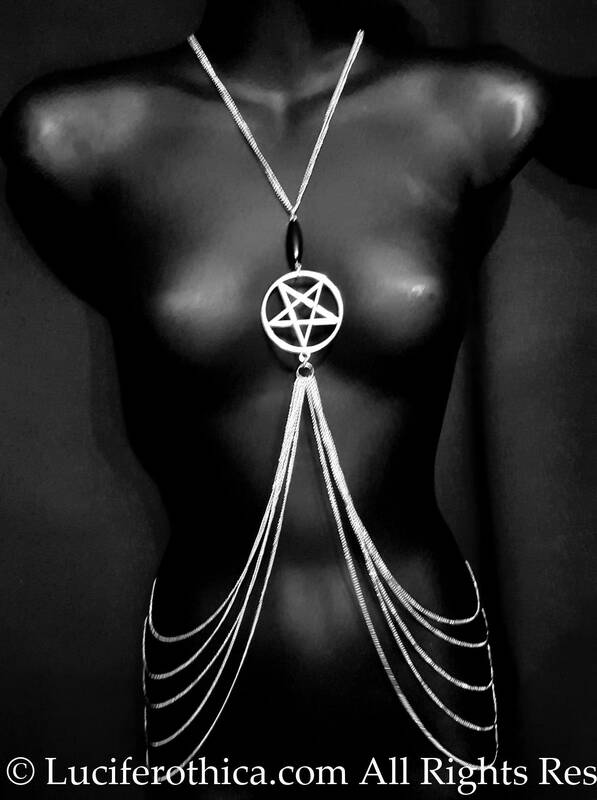 - Beautiful elegant chained harness. - Closes at the back with a normal chain. 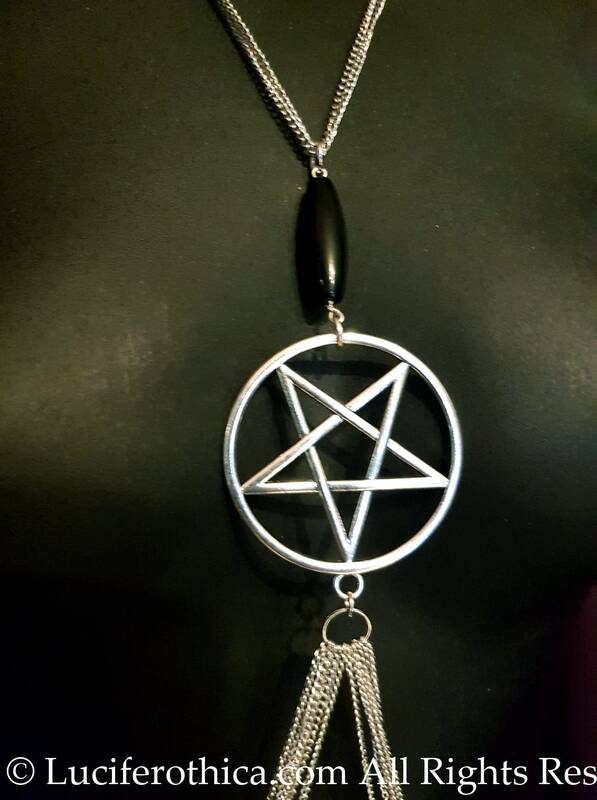 - Onyx gemstone bead on top of the pentagram. 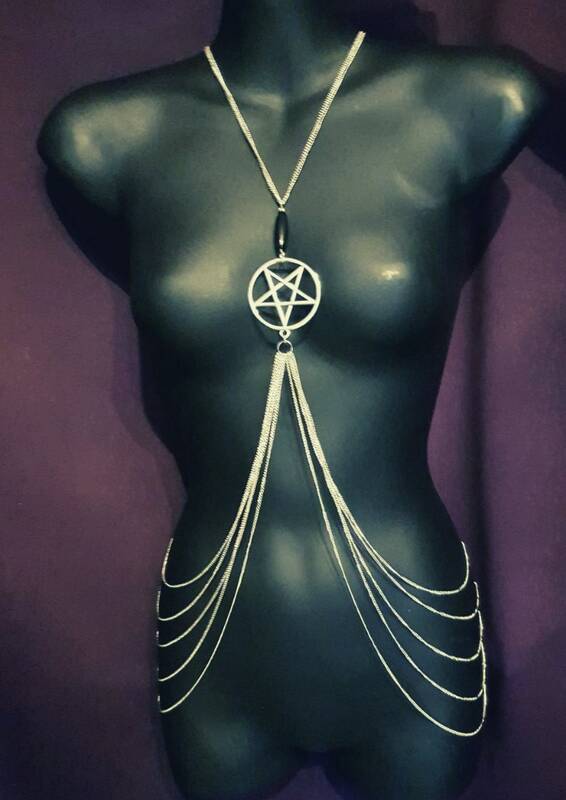 Light weight chains and easy to wear. My wife likes it, and it is well made.